A story about how Des Moines’ eclectic and historical neighborhoods are coming around, thanks to two fun and edgy, entrepreneurial spirits, in their pursuit to impact a community. Meet the Rally Cap founders, pictured L to R: Michael Donlin, Iowa State graduate in construction engineering ’14 from Ottumwa, Iowa; Ryan Francois, Iowa State graduate in civil engineering and architecture ’14 from Des Moines, Iowa. Everyone needs a place to live. Michael Donlin and Ryan Francois, co-founders of Rally Cap Properties, argue that everyone needs not just a living space, but a creative living space. Ryan Francios (left) and Michael Donlin (right) both knew that Des Moines was the obvious choice to start Rally Cap Properties. Des Moines’ recent revitalized downtown means the surrounding pockets of neighborhoods, will be the next boom for housing. The demand for downtown rental properties has increased in the last few years — there is already a demand for current renters looking to buy. Michael Donlin and Ryan Francois are both 24 years old, and might be the youngest investors in the Des Moines real estate scene. If you’re not familiar with the revitalization and booming redevelopment of Des Moines, Iowa, take note now. 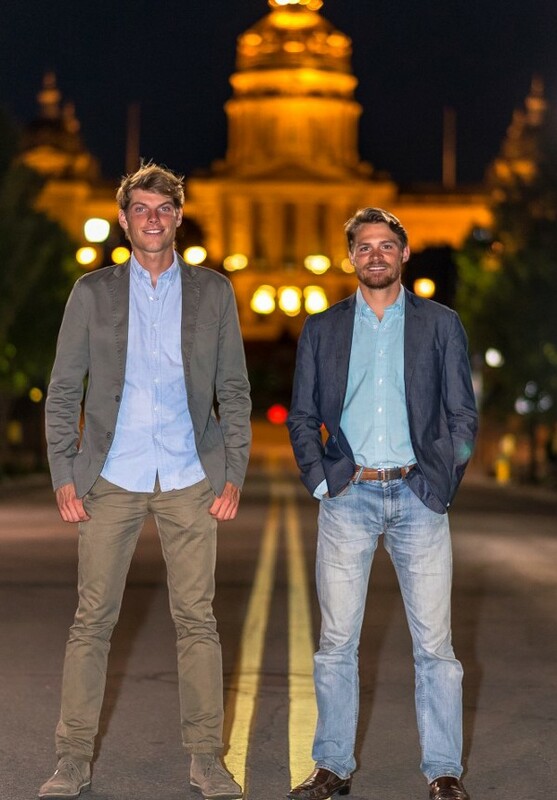 Ryan and Michael started Rally Cap Properties a little over a year ago, with a focus on the historical and transformative neighborhoods west and north of downtown Des Moines: Sherman Hill, North of Grand, Woodland Heights, Drake, Waveland, Beaverdale, Highland Park, and Propsect Park. 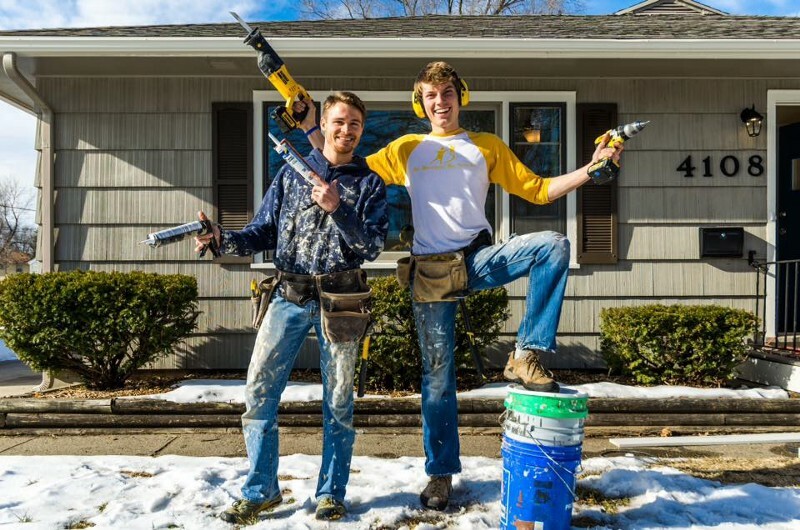 Rally Cap’s focus on millennial home buyers is not a surprise, and house renovation after house, they are hitting the nail on the head for these hip, young buyers. What’s important to tailor to the millennials? A house with character. Historical neighborhoods. Eclectic charm. Farmhouse sinks and clawfoot tubs. Creative layouts. Located close to amenities and commercial corridors…and just under $200,000. Investing in the big picture, with big impact. The Rally Cap boys are no stranger to wealth creation and understand real estate for them is the way to passive income. But making money isn’t the first priority — it starts with purpose over profit, as the opportunity to truly revitalize rundown communities keeps their hands building and their creative ideas spinning. 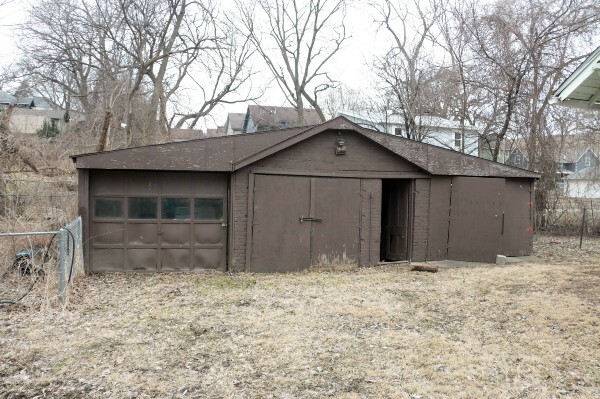 Here is a BEFORE picture taken of a tired little carriage house in Woodland Heights. 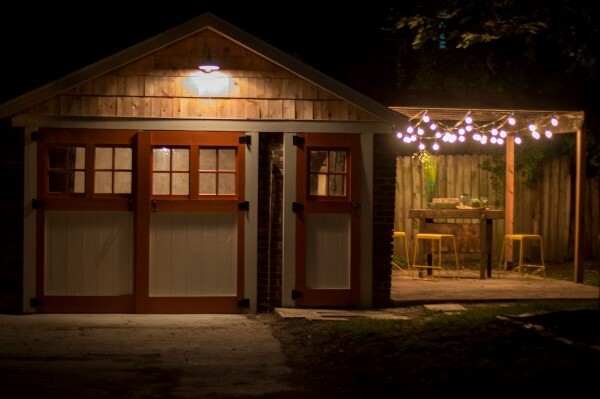 AFTER the Rally Cap transformation: stripped original brick, new custom barn doors, cedar shakes, a reclaimed wood pergola, full electric, new concrete drive, and outdoor living area. I recently got the chance to catch up with Michael and Ryan to find out what a typical flip looks like, the challenges they face in growing their business, and the origin of Rally Cap Properties. Ryan: We were homework partners in Structural Steel Design class while studying engineering at Iowa State University. Michael: Let us be very clear, we did no structures. We basically talked about business and ideas during class together (laughing). Ryan: The cool thing is I got out of there with an “A”, and Michael got out of there with a “D” or something (half joking). But we instantly hit it off with each other, as we both are energetic and have a love for adventure. After college we both went our own ways. I moved to North Carolina and was an independent adventure travel guide, leading mountain climbs to places all over the world. Michael started a successful College Pro painting franchise in Omaha. When did you start Rally Cap Properties? Ryan: Michael and I started tinkering with the idea about a year and a half ago (September 2015). We were looking to go on a big climbing trip during the summer. Michael called me up and asked, “Do you wanna flip a house in Omaha to earn $20k for it?” We thought early on that the flipping business was very transactional, a way to earn cash quick. But then something changed and we started to think more serious about it. Talking through it, last November we did a full turn around. We looked for the next steps on how we stand out in what investors see as a commodity-driven landscape. We put a business plan together, and then bought our first property! Michael: We want to be unique. There is no one else in Des Moines that is rehabbing like we are. No one has a customer face. You can’t even Google one. You’ll find couples that do HGTV style flips, but only once or twice a year. As our business model evolves, we will have a model that isn’t a commodity, but a brand. What does a typical residential flip look like? Start to end? Michael: I’m the house finder. I look at the auctions, foreclosures, financially distressed, and listed properties. After I find a prospective property, I will come in and figure out how much it will be to rehab it…see if the numbers make sense. I don’t think too much about what listing range we need to be at. Instead, I think how we can be creative with the house to offer a premium renovation. I’ll then bring in Ryan to look over the details of the design. By closing time, Ryan is full scale with the exterior and interior design work. By the time we are starting a renovation, we typically take 2 to 3 months to finish construction. From start to finish, 4 to 5 months. It’s not uncommon for your properties to already be sold prior to starting the renovations. How do you find these buyers? We’re seeing them from our team of realtors, who know what properties we’ve done and our vision behind Rally Cap. We also have buyers come specifically to us. We heard it just the other day from one of our pre-sale buyers, “We’ve been struggling to find a house and almost gave up.” This always reaffirms why we are doing this. What’s your return on investment on an average flip? Ryan: On our first 9 rehabs this year, we averaged 17.6% net ROI after investor payout and other expenses. This is why we chose real estate, as we wanted to earn passive income for ourselves. In our past jobs, we weren’t generating wealth. In real estate, it’s all about equity, cashflow and passive income. Note: Don’t be surprised that they both enjoy playing Rich Dad, Poor Dad’s CashFlow board game! What is your biggest challenge with Rally Cap? Michael: Scaling and systems, which goes hand-in-hand. We need to systematize how we handle everything — lead generation, financials, design, construction, etc. Ryan: Every task we’ve been doing, we approach it from the mindset of firing ourselves. How can we do something once or twice ourselves, then find someone that can do it even better. Fire ourselves, hire them. Michael: When you think of a Facebook or an Uber, they didn’t just hire a bunch of people to scale. They had to create systems and processes. We’re trying to do that before before we start stacking the Rally Cap team. Michael: We’ve got some awesome properties in the pipeline for 2017, and will be throwing another open house party just before Christmas. We encourage everyone to checkout our Facebook page. And hey, don’t be surprised if you see us someday on HGTV! We have made one stab at the application process, and we’ll be sure to try again. To follow the Rally Cap story, click here to check out their Facebook page. To inquire about future property renovations or investor inquires, reach out to Ryan and Michael by email at hello@rallycapproperties.com.